Craig Pinkney is a criminologist, urban youth specialist, lecturer and one of the UK’s leading thinkers/doers in Responding to Urban Disaffection, Gangs & Serious Youth Violence. Academically, Craig holds, a BA (Hons) in youth & community development, PG Cert in teaching and learning, Master’s degree in criminology and is currently undertaking his PhD in social science. Craig Pinkney has over 14 years experience as an outreach worker, transformational speaker, gang exit strategist, mediator, mentor and filmmaker. Craig Pinkney is well known for working with some of the UK’s most challenging young people, potentially high-risk offenders, victims of gang violence and youth who are deemed as hard to reach. Through mentoring, discussion, advocacy, sport, media, film and faith based interventions. Craig aims to give a platform to young people, which he believes will raise attainment and to promote positive social change. 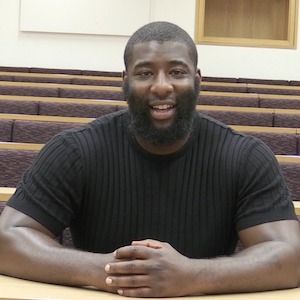 Craig Pinkney also is a full time lecturer at UCB (University College of Birmingham), specialising in crime and justice, youth violence, urban street gangs, trauma and Black men’s desistance.